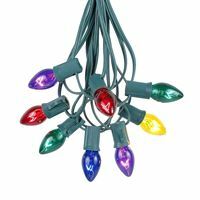 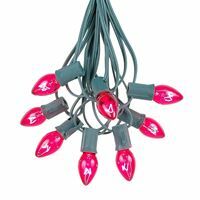 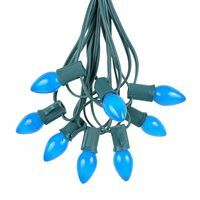 Our C7 light string sets are for outdoor decorating of trees, bushes, roof lines, houses, walkways, patios and more for Christmas or any event. 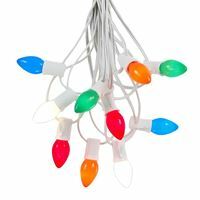 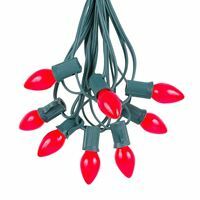 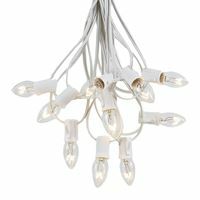 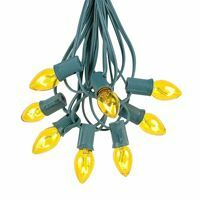 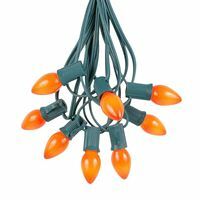 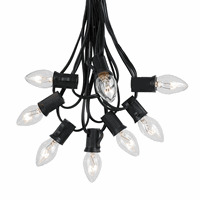 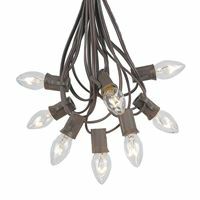 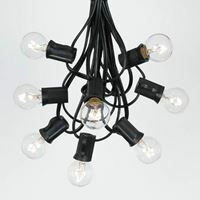 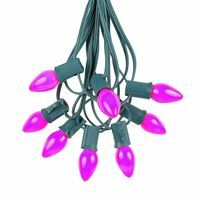 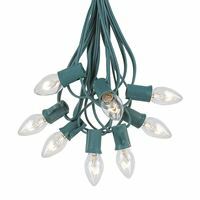 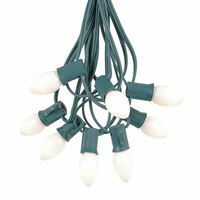 These C7 light string sets include the bulbs and have a 25 socket string spaced 12" apart making them 25' long. 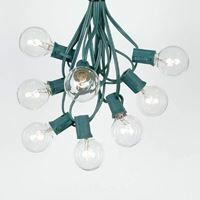 All our C7 light sets and available in both Green and White stringers with transparent, ceramic, LED, twinkle, and G30 bulbs. 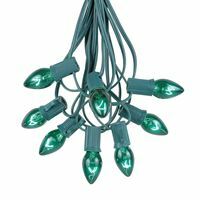 You can have the best decorated home, restaurant, and patio with our high quality outdoor C7 string lights sets.